Bach and his Sons. Organ and Klavier Compositions. J.S.Bach. Toccata, Adagio and Fugue in C major (C-Dur), BWV 564. 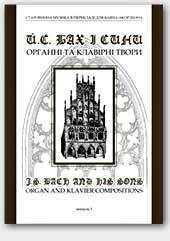 Video demo: J.S.Bach. Toccata, Adagio and Fugue in C major, BWV 564.